The issue of workplace safety and security in Bangladesh's RMG sector has got attention once again after a number of recent incidences portray negative image about the future direction of the monitoring and inspection of RMG factories. The globally acclaimed monitoring and inspection process developed and followed by the Accord, the Alliance and the National Initiatives during 2013-2018 has been passing a period of transition. During this period, such incidences raised doubt about the continuation of the good practices on workplace safety and security in the post-Accord phase (i.e. 2019 onward). Interestingly, a transition plan has been chalked out by the major stakeholders including government, ILO, business associations, trade unions, brands/buyers and development partners, and a number of initiatives have been undertaken as per the plan. Despite that, occurrence of such incidences by major local stakeholders indirectly implies that the major parties are not so interested to follow that plan. In extreme sense, these incidences hinted questionable development of future inspection process. Recent incidences and their implications on workplace safety in the post Accord period: The government in collaboration with international Labour Organisation (ILO), business associations such as BGMEA and BKMEA and trade unions had sketched the transition plan for workplace safety and security in the RMG sector after the end of the activities of Accord and Alliance. As per plan, local authorities will be strengthened and upgraded in a phased manner with a view to gradually take the responsibility of workplace safety of all RMG factories as per global standards. Accordingly, the 'Remediation Coordination Cell (RCC)' has been formed in May, 2017 under the Department for Inspection of Factories and Establishments (DIFE) with a view to monitor the progress of remediation related works of factories inspected under the National Initiatives (NI) (about 755 factories). Taking into account the limited logistics, human resource and technical capacity, ILO, Accord and other organisations provide them various supports. However, the success of the RCC is not so encouraging - until July, 2018, a total of 165 units are yet to start remediation work, while 192 factories made progress below 20 per cent. Despite repeated efforts, the RCC is struggling to ensure improvement of workplace safety in the small segment of factories which are small in size. Thus, there is a growing concern about the capacity of RCC to monitor the all factories in the RMG sector by maintaining the international standard. The enforcement capacity of RCC has been tested in recent months and has been found to be in question. The DIFE has warned 131 factories several times and as per the standard procedure issued escalation protocols. According to the escalation protocol 4, the DIFE sent letters to the BGMEA and the BKMEA requesting them to stop issuing utilization declaration (UD) in favour of factories which did not comply with the remediation related activities. According to the newspaper report, the associations particularly the BGMEA did not comply with the request of the DIFE and instead they lately replied to the letter of the DIFE saying that they were not in a position of stop issuing UD and sought more time for factories to complete the remediation related activities. Unfortunately, these factories had already taken time from the DIFE to complete remediation related works but failed to keep their promise. Such attitude and behaviour of the trade bodies in favour of non-complaint member factories reflect not only the violation of standard protocol set by the DIFE in consultation with the concerned stakeholders but also raise the efficacy of the standard protocol of the inspection process. Moreover, such expression of the associations passed a message to the member factories that the rules for compliance can be bended through the interference and influence of the associations. Such non-cooperation of the associations has fell the DIFE in trouble with regard to its ability to enforce the compliance standard at the factories. According to the 'Statement of Accord Continuation beyond May 2018', government of Bangladesh had confirmed to give permission to the Accord for extending its period of work beyond May 2018. This extension will be continued until a joint monitoring committee (comprise of Accord brand signatories, Accord trade union signatories, BGMEA, ILO and the Bangladesh government) agree that the stated conditions for handing over the responsibilities to the local authority are met. Consequently, the government has initially extended the period for six months (until November, 2018). On the other hand, the High Court had given a directive under a case filed by a local entrepreneur that Accord will work as 'Transition Accord' under the guidance of the Transition Monitoring Committee (TMC) and their work will not be extended beyond November, 2018. Unfortunately, government has not yet taken initiative to submit a petition to the High Court for further extension of the transition period of the Accord. Hence the Accord has recently submitted 6-phase exit plan to handover responsibilities, documents and technical issues to the RCC. Unfortunately, the RCC is not yet prepared to take the additional tasks beyond its core responsibilities. Hence, unless Accord's transition phase is extended beyond 30 November, 2018, there would be a 'vacuum' in monitoring the remediation works of Accord inspected factories. Unless a proper mechanism for handing over the responsibilities from the Accord is devised with appropriate authority, adequate capacity and ability to maintain quality and standard, the whole initiative of workplace safety will be in trouble in the near future. The Accord has yet to complete the remediation related works - about 89 per cent of problems have been remediated until September, 2018. Out of 1572 factories inspected, about 1066 factories have completed between 90-100 per cent of their remediation related works. However, a good number of factories are lagging behind in terms of maintaining progress as per the corrective action plans (CAPs). Following the standard protocol, Accord identified 139 factories as fully 'non-complaint' and another 393 factories as non-complaint at different levels which have been warned (called process of escalation) and need to upgrade the escalation process from first level to 'second' and 'third' levels by the end of November, 2018 and January, 2019. Unless factories found to be compliant by this new time period, the Accord will request its Brand factories to severe the business ties with these factories. Interestingly, these non-compliant factories include those which are subsidiaries of group of companies which means that lack of finance may not be the reasons for being non-compliant. Perhaps owners of these factories are not willing to complete the remediation related works although they did remediation works for other factories under the group earlier. This is also reflected in the comments made by some of the owners of these non-compliant factories which were published in the national dailies. One may think that such unwillingness to make factories complaint as per the CAPs set during the Accord period is owing to avoid undertaking necessary investment for remediation as the tenure of Accord is going to end soon and the owners would work with new authorities under renegotiated terms. In other words, owners expressed their unwillingness to comply with the standard compliance guidelines and are not ready to invest for remediation immediately. While Accord has decided to inform the respective brands/retailers about non-compliance of their member factories, some of the top business leaders took a position against the Accord as has been reported in the media. The above-mentioned incidences portray that the post-Accord phase of monitoring and inspection process as modeled by the Accord and Alliance would going to confront serious setback. These incidences are indicative in the sense that how the process of monitoring and inspection be weakened during post-Accord period through lack of technical capacity and weak enforceability of RCC, unwanted interference by the associations in the inspection process and lack of willingness of the entrepreneurs across small, medium and large enterprises to comply with the international standards set by the private initiatives of Accord and Alliance. Why are government and associations intend to avoid the agreed transition process? : According to the 'Statement of Accord on Continuation its Activities beyond May 2018', the government of Bangladesh will undertake necessary measures for continuation of Accord's activities until the conditions for handing over the responsibility to the local authority are met. A joint monitoring body will review the progress towards meeting those conditions on a bi-annual basis. These rigorous readiness conditions include: a) demonstrated proficiency in inspection capacity; b) remediation hazards; c) enforcement of the law against non-complaint factories; d) full transparency of governance, and f) remediation progress and investigation and fair resolution of workers' safety complaints. Moreover it was agreed that when the joint monitoring committee agrees the conditions for handover have been met, there will be a further transition period of six months, after which the local body would assume responsibility for factories now covered by the Accord. Hence the process of transition from the Accord to local authorities have been clearly spelt out and government will make necessary arrangement for extension of work of the Accord as per requirement. Since the High Court has given a directive regarding the period of work beyond November, 2018, considering the demand for continuation of work by the Transition Accord, the government should seek time from the High Court for further extension of the time period for the Accord. The RCC has been formed as a transitional organisation with specific objectives. According to the RCC fact sheet, 'the RCC is a temporary unit focusing on managing the remediation process for National Initiative Remediation Coordination Cell (RMG) factories. This involves monitoring the implementation of Corrective Action Plans (CAPS) including those with Detailed Engineering Assessment (DEA) requirements. This helps facilitating knowledge transfer from the Accord and Alliance and building capacity of the government officials for a sustainable inspection system. The longer term vision of the RCC is to evolve into an industrial safety unit or agency that provides a one-stop-shop service.' Since the inception in May, 2017, the RCC has been passing its initial phase for developing its organisational capacities, improving the logistics and human resources, equipping with technical expertise in order to complete the monitoring of the remediation related works of the national initiative factories. Given its limited authority it has yet to face trouble maintaining those responsibilities in full and has to depend on business associations to take the process forward. Even that process is not out of question. Under that circumstance, the RCC, at this stage, is in no way in a position to take additional responsibilities of factories under those inspected by the Accord and the Alliance. Moreover, its existing capacity could not allow to monitor the operations of those specialized factories as those are large in size (some even super large), located in multi-floor buildings as well as in multiple buildings. Hence, the RCC needs sufficient time to get prepared for it to undertake the responsibility in full. In this transition period, the Accord need to continue its operation as well as to provide necessary support to build up the capacity of the RCC for future course of action. In the process of maintaining compliances at the workplace, the role of business bodies is supposed to be 'supplementary' and there is no way to play a 'decisive' role which would reflect their 'interference' in the official process. Unfortunately, the recent incidences of not accepting the request of stopping issuance of utilization declaration (UD) certificate to non-complaint factories indicate that the associations have intended to take a role in making decisions regarding the compliance standards of the factories by ignoring the directives of the public authority. This is a reflection of interference in the official process when the standard protocols for inspection and escalation of the national initiative's factories have been set in consultation with the business associations. In this case, the associations should confine its activities in supportive role not in directive role. On historical account, the issuance of UD to the factories is an official responsibility which was earlier played by the Export Promotion Bureau (EPB)-the responsibility had been handed over to the business associations at their requests to hasten the process of work. Hence, the associations are practising an official responsibility by issuing UD which should not be considered as practicing its own authority. Hence, the request from the DIFE for not issuing UD to non-complaint factories is supposed duly honoured by the BGMEA. The remediation related works for a large number of factories is not easy to handle and the Accord/Alliance confronted lots of troubles from different quarters to undertake the responsibilities properly. Since the inception in 2013 of the initiatives, there were huge gaps and differences between Accord/Alliance and business bodies such as the BGMEA and the BKMEA on multiple issues related to governance, management and operational mechanisms etc. These include internal governance of the newly formed private inspection bodies, rules and standards to be followed, scope of using international standards beyond national laws, inspection methods, requirement of remediation standards to be followed, follow-up inspection mechanism, conditionalities for sourcing of safety materials and equipment, punitive measures for non-compliance, treatment of non-complaint subsidiary factories under the groups and financial support required for factories to complete the remediation related works etc. A major principle difference observed between business bodies and Accord/Alliance is the nature of role of the business bodies within the internal governance system of both Accord and Alliance. While the Alliance in its seven member Board of Directors included representatives from the local business bodies and includes members of the business bodies in the ten member Board of Advisors, the Accord on the other hand included representatives of the business bodies only at the local level advisory council but did not include any representatives of local business bodies in its 15 member steering committee. Such ignorance of the representation of local trade bodies in the internal governance of the private inspection bodies had not taken easily. However, both Accord and Alliance have regularly met with the business bodies and discussed about mutual issues of interest. The recent resentment from the trade bodies or lack of cooperation in facilitating further extension of the activities of Transition Accord somewhat portray association's past differences with the Accord. However, such differences should not be extended to weaken the future inspection and monitoring process as set by the Accord/Alliance over the last five years. Instead of recreating new process, it is important to institutionalise the process of inspection that has been appreciated by all stakeholders including the business bodies. 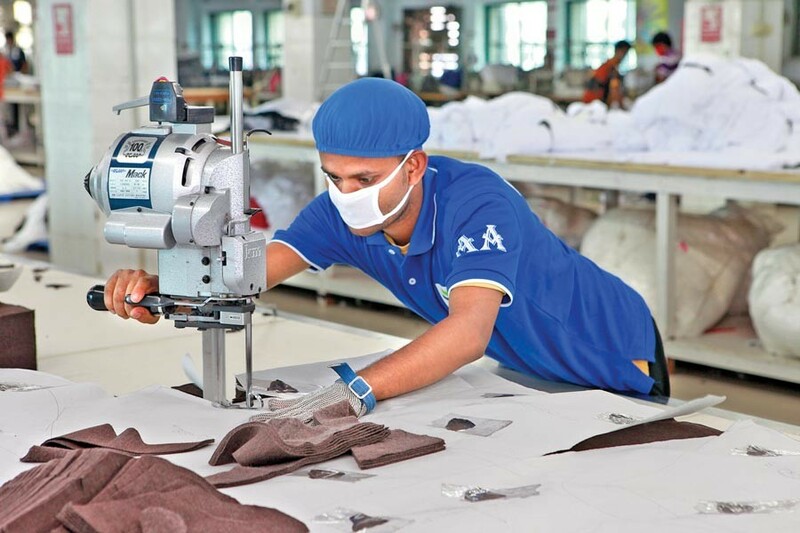 The 'Model' inspection and monitoring process set by the private initiatives should be followed for post-Accord period: The monitoring and inspection process of RMG factories during the post-Accord Period should be cantered the inspection model developed by the Accord and Alliance over the last five years. The model is found to be effective as all concerned stakeholders expressed their satisfaction about its effectiveness and functionality. Most importantly, this mode inspection system helped Bangladesh to come out from the negative image of the Rana Plaza tragedy. These international initiatives have set a number of benchmarks with regard to maintaining workplace safety and security in the garment factories. These benchmarking include standardization and harmonisation of fire, electrical and structural safety related rules and regulations by using the Bangladesh National Building Code 2006 along with other rules and regulations; preparing standard protocol for monitoring and inspection based on which factories have been inspected; and preparing the corrective action plans (CAPs) for each of the factories in consultation with the factory authorities. A major achievement of this initiative is to disclose all inspection related information in the public domain. As a result, all stakeholders at local and global levels could be able to get informed about the level of compliance/non-compliance of the factories. There is a process of warning to the non-compliant factories which is known as 'escalation' process - each factory receive three warnings; after third warning/escalation letters, Accord request the concerned lead brands/buyers of the particular factories to severe the ties with the factories. In case factories need financial support for completion of remediation related activities, brands and buyers take initiatives to make arrangement for financial needs. Besides, a number international organization had extended financial support for remediation works such as JICA, IFC, Walmart through Brac Bank and France based AFD etc. Overall, the initiatives of the Accord and the Alliance have provided lessons to the local stakeholders about the process of monitoring, transparency, accountability and documentation and reporting of inspection and monitoring. a) Government particularly the Ministry of Commerce and the Ministry of Labour and Employment (MoLE) should immediately take initiative to request the High Court to reconsider extension of the period of 'Transition Accord'. The timeline for extension should be considered based on the process of handing over the responsibilities has been mutually agreed between the government and the Accord. Given the limited capacity of the RCC at this moment as well as the huge tasks related to the Accord and the Alliance factories, the extension of the timeline of the Transition Accord need to be ensured for another two years. During this period, the Accord will complete the 6-point tasks as has recently submitted to the government. b) The RCC operating under the DIFE needs to be properly empowered to enforce the standard protocol as well as to recommend for taking immediate actions against non-compliant factories which should be duly acknowledged by the TMC. The TMC should be empowered to take decisions against non-compliant factories on time which are to be enforced by the concerned authorities under different ministries and departments. The structure of the TMC should be broad-based and should include representatives of brands and buyers in order to keep informed to all concerned stakeholders about the level of compliance of factories. c) The associations should fully follow the standard protocol of factory inspection set by the RCC and should not interfere in the process of enforcement of rules and regulations. The DIFE should be strong enough to enforce the inspection process. There is no scope to show favour to any factories and should follow the same standard protocol for all types of factories including those under group of companies, as well as those of large, medium, small and sub-contracting factories. In this context, BGMEA should immediately stop issuing UD for a set of factories from the list sent by the DIFE at least those which are no way to complete even half of the targeted remediation works in order to show respect to the directives of the public authority as well as to give strong signal to the rest of non-complaint factories to complete remaining works as soon as possible. d) The inspection related all information should be made open and transparent and to be made available to all stakeholders. There should have a strong vigilance mechanism against the problem of bribing and other forms of corruption occurred in the process of inspection and monitoring to be undertaken by local agencies. In that context, independent inspection firms with global repute and experience could be appointed to monitor the quality and standard of inspection of local authorities. e) The RCC should be ready to take the responsibility of the Accord/Alliance related factories in a phased manner. However, the future course of monitoring activities in the RMG sector include - 1) regular monitoring of the complaint factories; 2) follow-up monitoring of the non-complaint factories; and 3) monitoring of the newly established factories. Hence, the RCC should consider a division of labour between these three types of inspection related activities. Given the limited human resource and logistic capacities, the RCC should hand over a part of the responsibilities to the private sector firms. However, those firms should have experience in working at international level. A public-private partnership (PPP) model could be considered where private sector firms to be worked under the directives of the TMC. These firms to get accredited on a yearly basis from the local authorities. There should have scope for the 'Accord' to work with the local authorities as a private entity. f) The DIFE in collaboration with ILO take initiative to set up model factories where all compliance related standards to be properly maintained. The newly set-up factories as well as could visit those factories to get better understanding about the level of precision/quality/standard to be maintained with regard to fire, electrical and structural integrity related issues within the factory premises. These types of model factories to be identified from the existing complaint factories from different RMG clusters. The number and type of factories may be changed year by year. g) Government's political leadership should maintain its strong impartial position with regard to safety and security standard of the factories as it did over the last five years. Thus, the implementing authority could get the backup from the high-ups of the government to implement their responsibilities by ensuring international standards. Otherwise, any questionable move from the high ups of the government, ministries and departments would raise question about the authenticity and reliability of the inspection processes. If those standards are not maintained properly, in extreme cases the sector may confront tragic accidents once again - the cost of those accidents would be unbearable. Dr Khondaker Golam Moazzem is Research Director, Centre for Policy Dialogue (CPD).